← Linvasion: Sports Illustrated, TIME, Obama, and every single news channel plus all the talk shows in Taiwan. 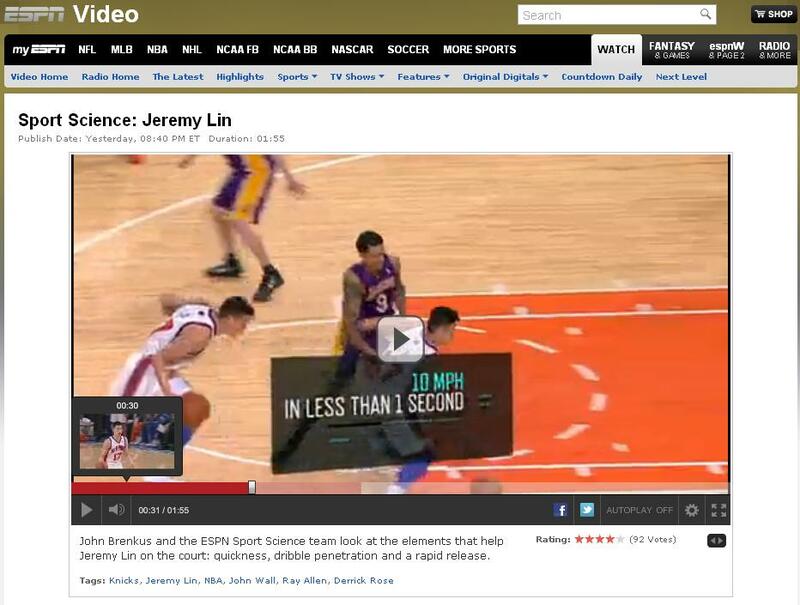 First, the nerdy ESPN Sport Science. Biomechanics represent! Now the real sidekick laughs. From the Sports Guy! He did a Mailbag on Linsanity! For some reason a lot of the NBA fans still can’t get let down the beating stick on LeBron James; the first few questions were taking personal shots at James’ “shoulda, and woulda” at the garden. They were so sour that for a split second I thought I was reading Taiwan’s national inter-electronic antique ptt.cc. 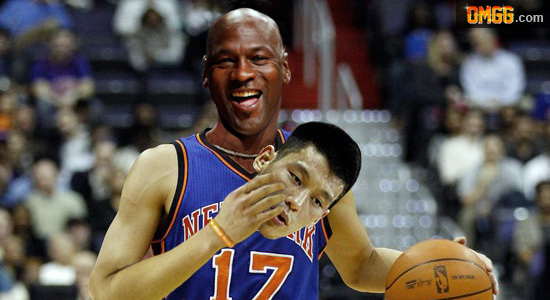 SG: And that’s been one of my favorite things about Linsanity. The Knicks were going to miss the playoffs; even worse, it was genuinely depressing to watch them….Then, Lin starts playing at point guard … and within a week, they’re acting like a 15-seed pulling off a March Madness upset (only game after game). And yeah, I know race is hanging over this story — sometimes that happens for phony reasons, sometimes it happens for real ones, and in this case, it’s real and should hang over it a little. But if Lin happened to be white or black, I’d like to think this story would be 85 percent as fun — it’s mostly about his style of play (wildly entertaining), the whole out-of-nowhere underdog thing (always our favorite type of story as sports fans), its effect on Knicks players and Knicks fans (basically, it’s turned both groups delirious) and the fact that it’s the Knicks (who have four generations of fans, play in our biggest market and needed a feel-good story more than just about any other team). You know what’s really amazing? That he saved the Knicks’ playoff hopes AND saved his coach’s job has almost been an afterthought. All right, to wrap up. Since this is supposed to be a fun post (and I won’t need to do a Saturday morning report at the meeting tomorrow), I ma borrow the joke from OMGG, just to ensure sufficient exercises on the mentalis and abdomen rectus. Like Jeremy always says, God is good isn’t he. One man plays well on the court, the whole world is riding the fun. Thank you God, and good night. This entry was posted in Life, News Commentary, Out of the blue, Sports and tagged basketball, Bill Simmons, Biomechanics, ESPN, God, humor, Jeremy Lin, jokes, knicks, LeBron James, Michael Jordan, MJ, NBA, new york, Sport Science, The Sports Guy, Vietnam, whoopi goldberg. Bookmark the permalink.